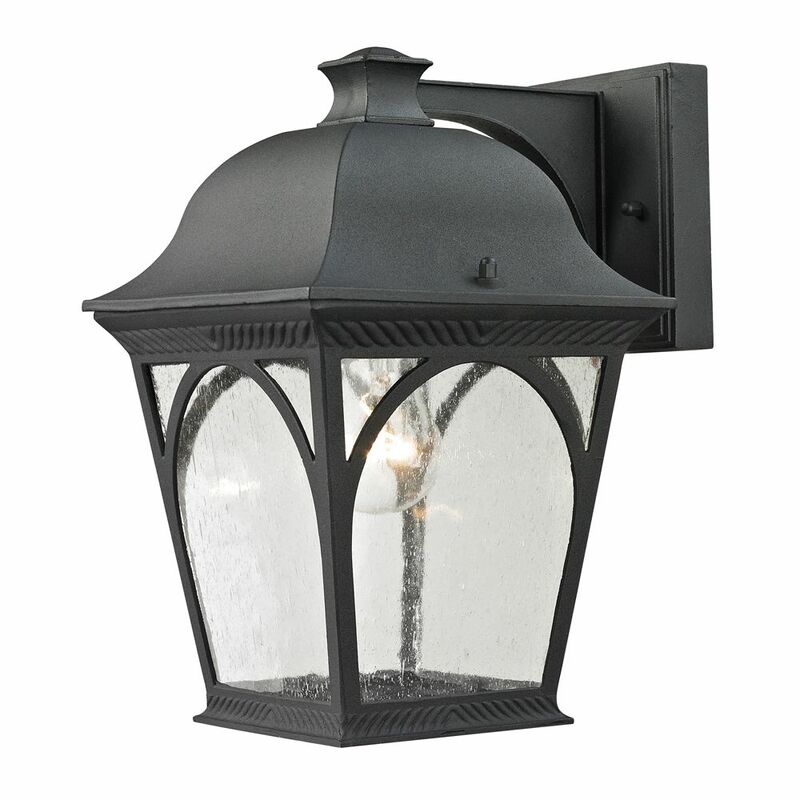 This beautiful outdoor wall sconce is a wonderful addition to the exterior of any home. Features a textured matte black finish and seeded glass panels. This outdoor wall sconce will update the exterior of your home with its eye-catching design. Featuring a bronze finish and clear water glass shade(s), this fixture will accommodate a variety of outdoor of dicor styles. With its easy installation and low upkeep requirements, this outdoor wall sconce will not disappoint. Capture the charm of an outdoor cafe lantern. The matte black ironwork and heavy seeded blown glass achieves an authentic old world style. Outdoor Sconce In Matte Textured Black This beautiful outdoor wall sconce is a wonderful addition to the exterior of any home. Features a textured matte black finish and seeded glass panels.